Their rudimentary artificial nerve circuit integrates three previously developed components: a touch-pressure sensor, a flexible electronic neuron, and an artificial synaptic transistor modeled on human synapses. In a demonstration experiment, the researchers used the artificial nerve circuit to activate the twitch reflex in the knee of a cockroach. The researchers did another experiment that showed how the artificial nerve system could be used to identify letters in the Braille alphabet. The researchers “used a knee reflex as an example of how more-advanced artificial nerve circuits might one day be part of an artificial skin that would give prosthetic devices or robots both senses and reflexes,” noted Chiara Bartolozzi, Ph.D., of Istituto Italiano Di Tecnologia, writing in a Science commentary on the research. 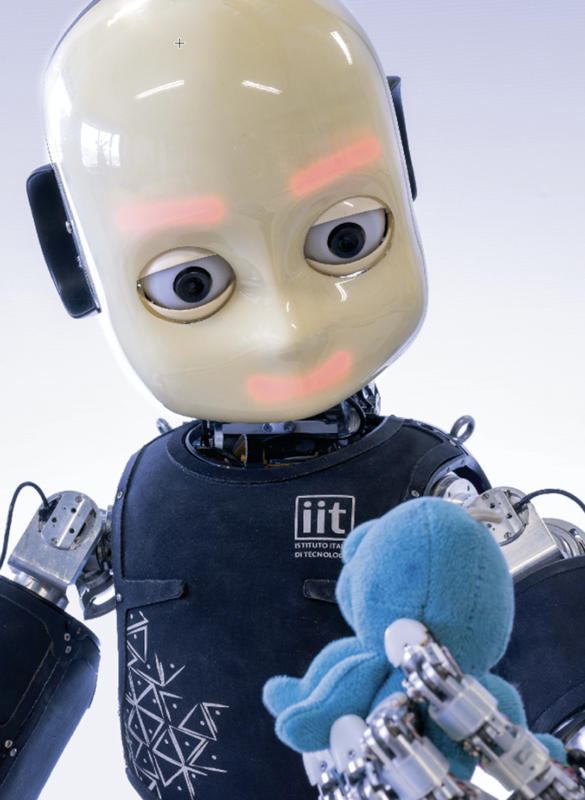 Tactile information from artificial tactile systems “can improve the interaction of a robot with objects,” says Bartolozzi, who is involved in research with the iCub robot. “Information about shape, softness, slip, and contact forces also greatly improves the usability of upper-limb prosthetics in fine manipulation. … The advantage of the technology devised by Kim et al. is the possibility of covering at a reasonable cost larger surfaces, such as fingers, palms, and the rest of the prosthetic device. The researchers plan next to create artificial skin coverings for prosthetic devices, which will require new devices to detect heat and other sensations, the ability to embed them into flexible circuits, and then a way to interface all of this to the brain. They also hope to create low-power, artificial sensor nets to cover robots. The idea is to make them more agile by providing some of the same feedback that humans derive from their skin. This milestone is part of Bao’s quest to mimic how skin can stretch, repair itself, and, most remarkably, act like a smart sensory network that knows not only how to transmit pleasant sensations to the brain, but also when to order the muscles to react reflexively to make prompt decisions. The synaptic transistor is the brainchild of Tae-Woo Lee of Seoul National University, who spent his sabbatical year in Bao’s Stanford lab to initiate the collaborative work. Reference: Science May 31. Source: Stanford University and Seoul National University. * This work was funded by the Ministry of Science and ICT, Korea; by Seoul National University (SNU); by Samsung Electronics; by the National Nanotechnology Coordinated Infrastructure; and by the Stanford Nano Shared Facilities (SNSF). Patents related to this work are planned.